Lake Tahoe, The Lake, is the jewel of the Sierra Nevada’s. At 6,226 feet above sea level Lake Tahoe is the largest alpine lake in North America. It is 12 miles wide, and 22 miles long. The Lake has a surface area of 191.6 square miles. The average depth of The Lake is 989 feet, while its deepest point is 1,645 feet. This is the third deepest lake in North America. 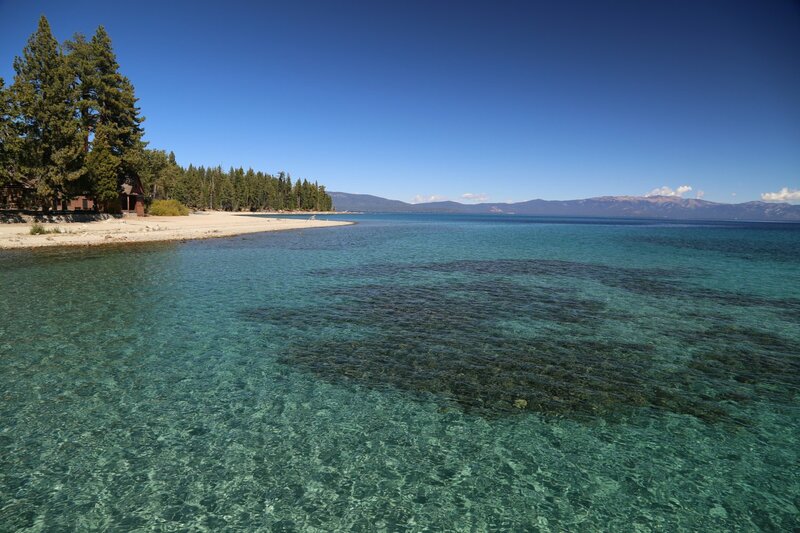 Lake Tahoe contains about 40 trillion gallons of water. To put that number in perspective, that amount of water would cover the state of California in 14 inches of water. A legend explains how Lake Tahoe got its name. Lake Tahoe was created when an Evil Spirit decided to pursue an innocent Indian. The Great Spirit tried to aid the innocent Indian by giving him a branch of leaves. Supposedly each leaf dropped by the innocent Indian would create a lake through which the evil spirit would have to cross. However, the innocent Indian in his fright dropped the entire branch of leaves at once creating a large lake, Lake Tahoe. The water temperature near the surface varies with seasons. During the summer the water near the surface can warm to a chilly 68 degrees F. Below depths of 700 feet the water temperature remains stable at 39 degrees F. The beauty of Tahoe is immeasurable. On clear days The Lake is bluer then the sky. Tall peaks surround The Lake on all sides. The tallest peak rising from the shoreline is Mt. Tallac at 9,735 feet. The tallest peak in the Tahoe Basin is the bare above tree line, Freel Peak at 10,881 feet. The Tahoe Basin is relatively forested with various species of pines and conifers. Snow covers the tall peaks most of the year. 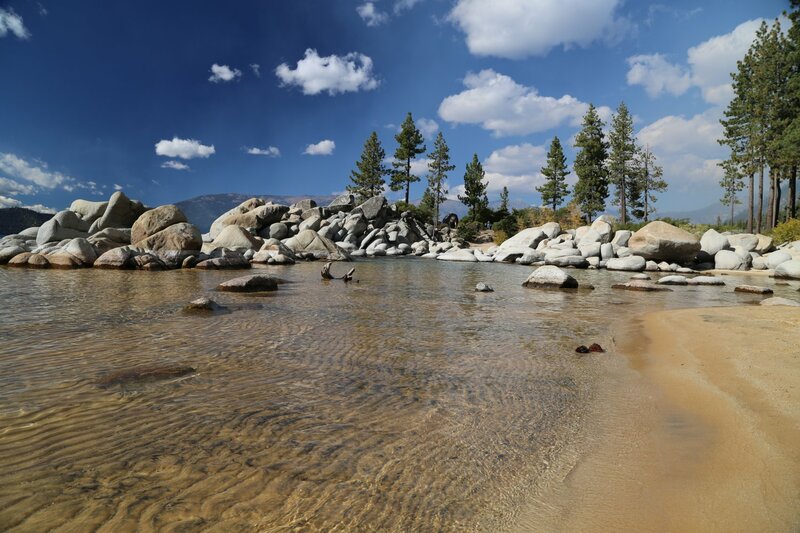 The water in Lake Tahoe is 99.9 percent pure meaning that it is about the same purity as distilled water. The classic example of Tahoe’s clarity is a dinner plate can still be viewed at 75 feet below the Lake’s surface. Unfortunately with urbanization and sediment runoff, The Lake is slowly losing its clarity. Lake Tahoe covers the “V” of the eastern California border. Part of The Lake is in the state of Nevada. The Lake is 98 miles northeast of Sacramento and 58 miles southwest of Reno. 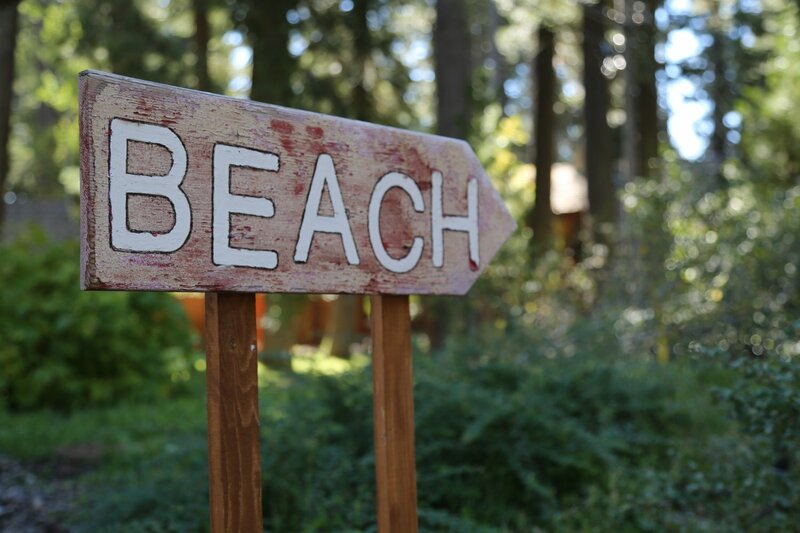 Tahoe is about 200 miles from San Francisco, about 480 miles from Los Angeles, and about 580 miles from San Diego. Living in San Francisco I feel so lucky that Lake Tahoe is just a short drive away. Seriously one of my favorite places – hard to say if summer or winter is better there. The crazy blue lake with the epic mountain background is amazing. I hear “the lake” doesn’t have much snow this year – I also hear California hasn’t seen hardly any rain this winter 🙁 — I hope that changes soon, the golden state needs some water! Yea, Lake Tahoe is def one of the places I direct travelers in California – for those who are looking for nature – along with Yosemite, Kings Canyon, Lassen and Shasta, the Eastern Sierra Nevadas, Death Valley, Mono Lake etc. There is no shortage for places to go!